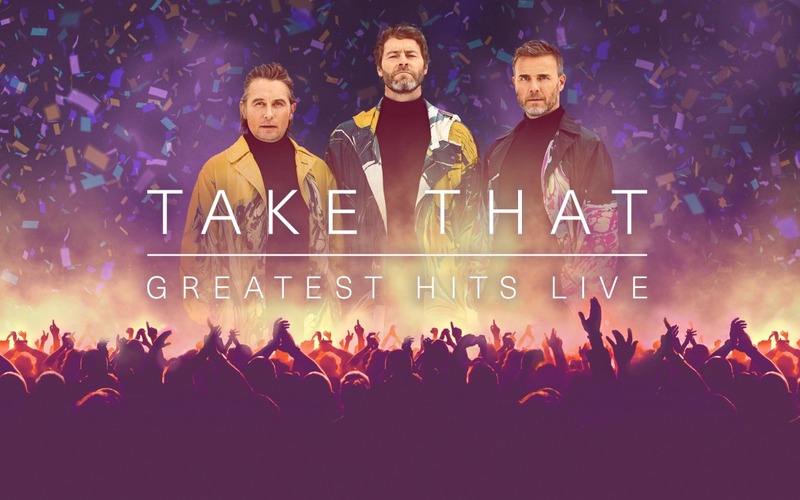 It's Take That live in concert from the Principality Stadium in Cardiff - a wonderful opportunity for fans who have previously missed out on tickets to see them perform live on stage. With previous tours featuring walls of water, enormous holograms, a massive mechanical elephant and a carousel of dancers and band members suspended in the air, what will Gary, Mark and Howard come up with for this highly anticipated 30th anniversary show! Get ready for the biggest cinema party of the year!